Our pastured poultry program faced a dramatic setback. Right near the end of April as we attempted to employ our assertive poultry plan for the year, we were faced with the realities of nature and farming. An animal of some nature, more than likely, a family of raccoons discovered our tasty, tender, chicken buffet in the back field. Needless to say, we lost a significant number of birds over the course of three weeks. Finally I decided I would need to take measures to secure the birds so that this would not happen again. 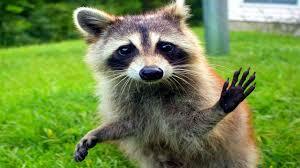 Once the raccoon found the pen it returned night after night. After futile attempts to secure the pen that was built last summer, I rebuilt the pen completely starting from scratch with all new lumber and construction methods to thwart the troublesome meddler. Only the tufftex corrugated plastic cover panels were reused. This morning as I approached the pen hopeful of sighting no mischief, I pondered what I would do had I met an unexpected sight of misfortune for the meatbirds we were caring for. Sighting none I said a quick prayer of thanks to the owner of all who allows me to care for his creation. The associated problems this created by not getting the birds onto the field when they should have been were numerous. 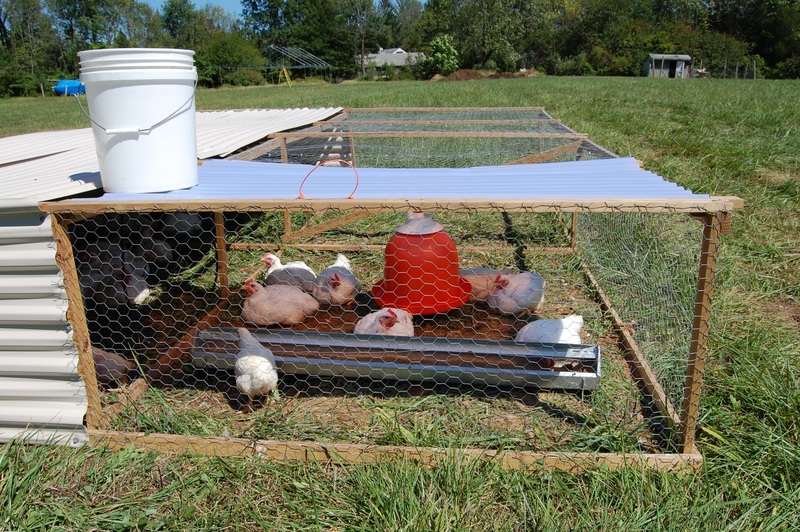 The birds remained in an enclosed brooder that was really not adequate for their size. They were not getting fresh grass and bug, or sunlight. The chickens smelled like poop. The first batch will have to be keepers because of these quality issues. We have been disrupted from our original plan. We are hopeful that we can get back on track with the planned outcome we had hoped for. As farming goes, these are the challenges that we must meet and deal with on an almost daily basis. To be adaptable to your surroundings and problem solve on a moment’s notice is essential to being a farmer. Note that I did not say a “successful” farmer. I believe you are either a farmer or you are not. The farmers of old employed these same characteristics but we today enjoy the benefit of near instantaneous information at our fingertips. The problem this creates is that the feedback loop has not changed much for our participatory nature. No matter how hard you try, your tomato plant will not produce a fruit for you in the first week. For me, this has curtailed my need for instant gratification. Ironically, I can now experience moments when I feel as if I can almost slow time only because comparing it to our hurried technological lifestyles makes it so. This has also helped me greatly manage my expectations which over time had come to be almost dubitable. We have an inclination to not realize the power of a small task done repetitively on our thinking and thus our beliefs. After a while, some might call this superstition but acknowledging this mechanism and harnessing its power can be life a life altering occurrence. Oh that the chicken should have such thoughts. So the pen seems to be secure and the lower back pain is subsiding. The notes for the next project for the farm are right in front of me. They will be reviewed shortly. I envy Curtis when he states that he has shifted from setup mode to production as I have not. We will get there eventually. We will review our expectations for this year’s poultry plan and make the necessary adjustments as required. Hope which is confident expectation looms large at FiveDollarFarm.